Messier 17 in the constellation Sagittarius is also known as Omega or Horseshoe Nebula due to the characteristic dark nebula on its right side. If the image is rotated by 180 degrees, you can also see a celestial swan in the brightest part of the nebula. 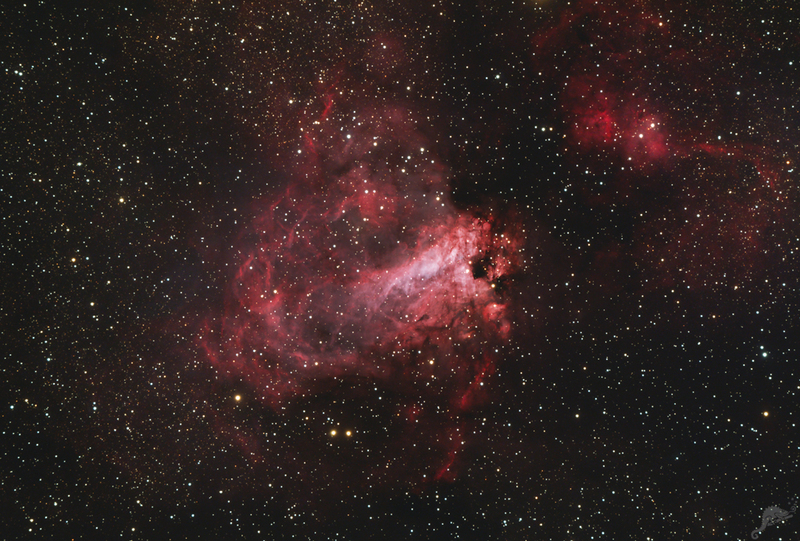 Thus, M 17 is also known under the name Swan Nebula . The active star-forming region is about 5,500 light-years away from the Earth and is located almost exactly on the galactic equator. 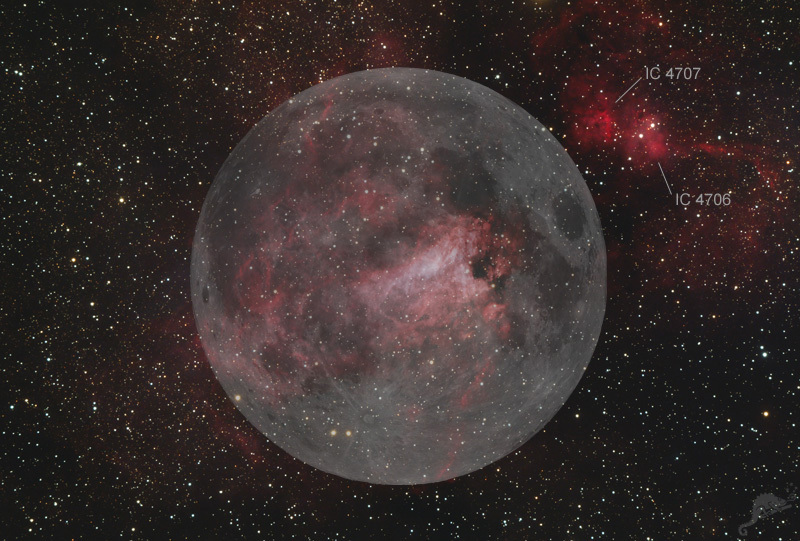 The diameter of the nebula is 15 light years, so that it appears about as big as the Moon in the sky. Inside of M 17, hundreds of newly formed stars have been discovered. They are still behind dense gas clouds and can be only observed in the infraded. 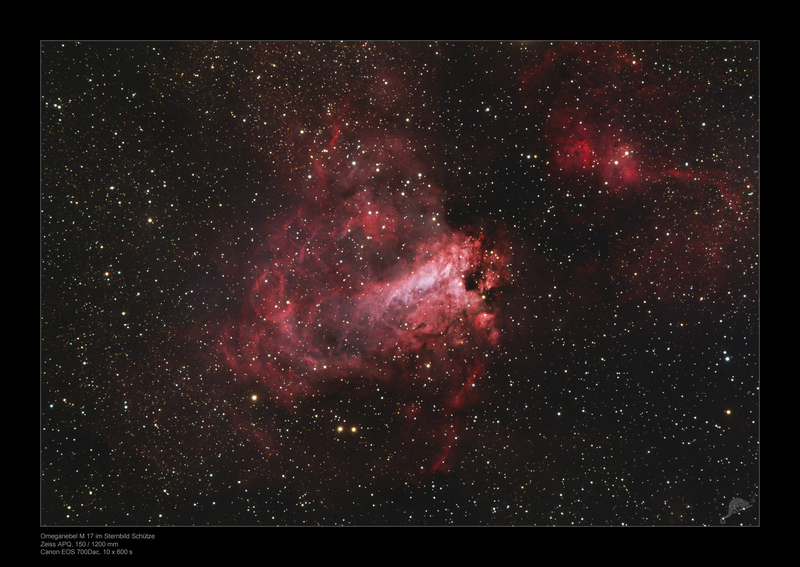 Right above the Omega nebula are two more small emission nebulae, IC 4706 and IC 4707.